From Morteau (F) to La Chaux-de-Fonds (CH), dive into the history of watchmaking and its smuggling past. Your travel books Discover all travel books created by hikers, enthusiasts, photographers and illustrators, be they amateurs, well-known professionals or novices. Share your comments and vote for the best travel book. This section will be available soon. We're waiting for yours! Step into the shoes of a smuggler (Orlogeur, Bricottier, Colporteur) or a customs officer by choosing one of our four routes and experience a unique adventure as you journey back in time. Organise your trip by choosing your tourist services. Download our mobile application and our paper guides to put you on the right track. Post your observations and albums with our "Travel Book" software. Create your multimedia travel book through our dedicated software. Publish your book on our website and print it in the form of photo albums via an external provider. An original and personalized souvenir of your experience on the Ways of the Franco-Swiss smuggling ! In the midst of the Jura mountains, in times gone by, smugglers and customs officers used to live side by side, prepared to do anything to fulfill their respective missions, despite the dangers. In the footsteps of these men from the past, experience the adventure of the Bricotte and of the Great Profession, or perform the raid of your life as you follow the Franco-Swiss Chemins de la Contrebande. Travel between France and Switzerland, walk in the footsteps of the Orlogeur and adventure on the trail of watch and clock smuggling in 5 steps between Morteau and La Chaux-de-Fonds. The strong points of the route : 4 watch and clock museums, Boundary markers, The Saut du Doubs waterfall, a force of nature The UNESCO world heritage site of watchmaking town planning, etc. 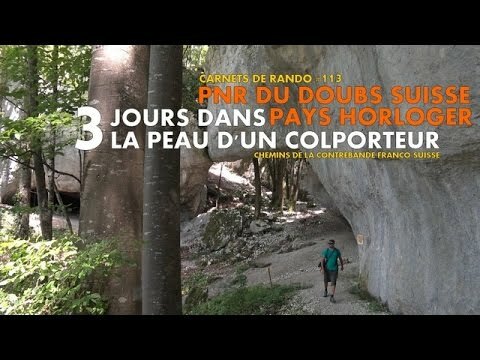 On this 55km circular walk on the French-Swiss border starting from Maîche, follow the paths trodden by a Bricottière, a past master in the art of hiding small packages of contraband.On the way, you will experience one of contraband's most famous crossing places (les Echelles de la Mort – the steps of death) and find out more about the history of the places you pass through. 7-step circular cycling route starting from Morteau (F) or Saint-Ursanne (CH), look out for the clues to dismantle a smugglers' organisation. During your cross-border patrol around the river Doubs, you will come across numerous towns brimming with history such as La Chaux-de-Fonds and Le Locle as well as countless stunning views over the surrounding landscape and mountains. 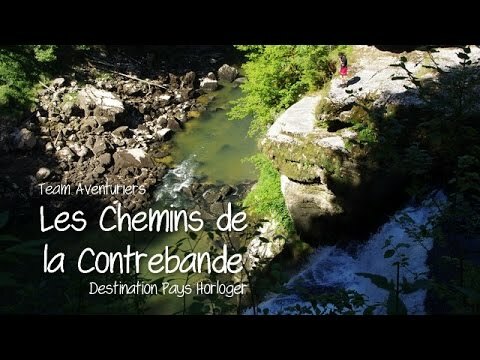 Follow this route between the medieval towns of Saint-Ursanne (CH) and Saint-Hippolyte (FR). Tread the paths of the Doubs valley in the footsteps of the colporteurs and (re)discover the ultimate nomadic occupation. Throughout this adventure you will follow the border between France and Switzerland, drinking in some stunning scenery. After inserting your images, texts, illustrations, videos and sounds, you can then publish your travel book on the Internet or print a professional quality photo album. Use our automatic templates or create your own page layout to personalise your logbook.